On June 23rd, a youth soccer team of 12 boys was reported missing after venturing into a cave at the Khun Nam Nang Non Forest Park in Chiang Rai, Thailand. The team, led by their 25-year-old coach, has been trapped deep inside the cave after a downpour prompted flooding, leaving them marooned. Rescue efforts have been mobilized, with dozens of Thai Navy SEALs dispatched by the government to provide relief in the form of food and supplies while the waters recede. Now, with the rescue effort becoming something of an international spectacle, even tech tycoon Elon Musk is poised to offer help. On Thursday, the Space X, Tesla and Boring Company chief tweeted that he was sending engineers to Thailand, hoping to use science to wrest the boys from their plight. Per CNN, the Thai government confirmed Musk's team was en route to the site, writing on its Facebook page: "Elon Musk will send his team to Thailand tomorrow (7th July) to help in cave rescue. He may provide services for location tracking, water pumping or battery power." 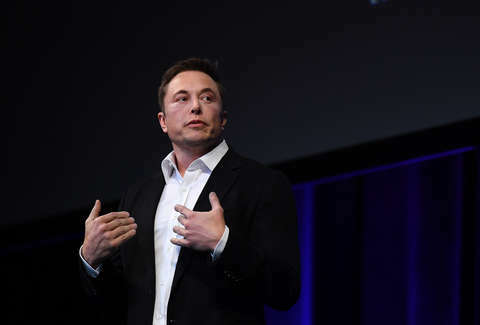 With the relief efforts turning deadly -- a former Thai Navy diver who volunteered in the rescue mission died, it was confirmed Friday -- Musk is proffering some of his hifalutin science to ward off the danger. Namely, he's suggesting that a "nylon tube" could potentially create an "air tunnel" similar to a "bouncy castle" that the boys could use to wade beneath the waters and reach their salvation. While Musk sending engineers to help with the rescue surely comes in good faith, the means he's suggesting might look like an extravagance when stacked up against the situation's grim reality. The odds aren't in his favor either, especially with more rainfall expected in the immediate future.